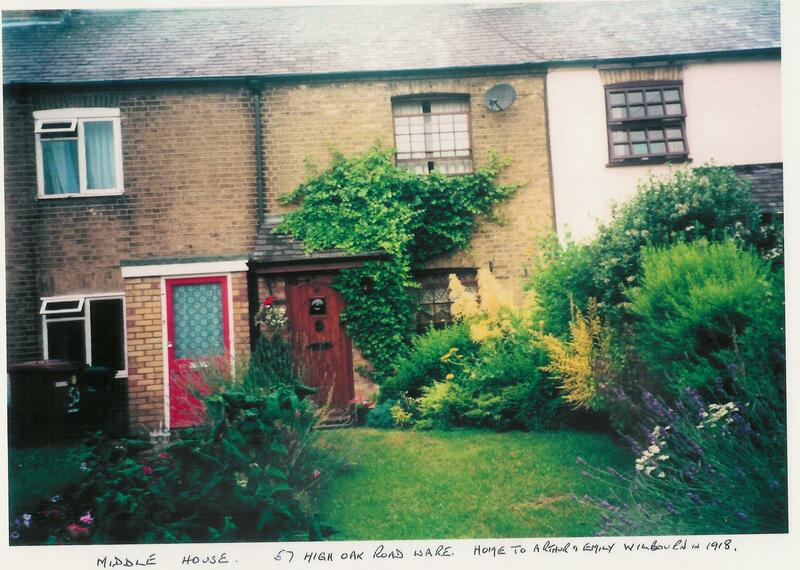 The Wilbourn family have lived in Hertford/Ware/Stanstead Abbotts for over 400 years. Edward Wilbourn is to be found in Benington in c1580. 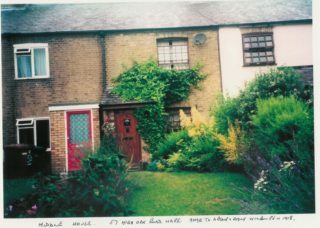 Arthur Herbert Wilbourn lived in the terraced house in the photo with his wife Emily, sons Jack, Bert (my father), Alf and his daughters Joan (married Les Ball), Lilian (m. Francis Heaven) and Ivy (m. Walter Clark). He joined up in 1914, was injured at the Battle of Ancre in 1916 and killed in March 1918. His name is on the Memorial in Ware High Street. Now comes the long shot! A large photo of him hung on our front room wall for over 25 years and then was taken down never to be seen again. Unfortunately I cannot find another picture of him. There being so many relatives still in our area there may be some one who has such a record and if so are happy to make contact. This page was added on 05/03/2015. I am very interested in Arthur Herbert Wilbourn for reasons I am not prepared to say for the sake of his known descendants. I bought “Our Boys” from Ware Museum in the hopes of a photo but there wasn’t one.